In order to go up, you first have to hit rock bottom. It may only be four weeks into the 2012 NFL season, but it looks like the Cowboys have hit rock bottom. Monday night they were (at least one player) was a turnover machine, as the Cowboys in front of a national TV audience were slammed by the Chicago Bears 34-18. 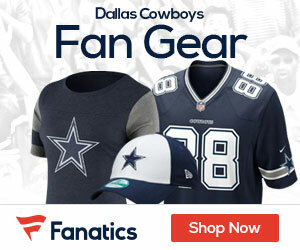 The giveaway numbers were staggering – Tony Romo threw five interceptions, Charles Tillman and Lance Briggs each took back interceptions for touchdowns, and the Cowboys are 2-2 after a 34-18 rout. Since the start of the 1997 season, Dallas is 122-122 in regular-season games with one playoff victory. Romo, who matched a career-high with his five picks, did the same during an Oct. 2007 game against the Buffalo Bills. Nick Folk’s 53-yard field goal as time expired, though, gave Dallas an improbable 25-24 victory. Romo registered 307 yards and a score through the air on 31-of-43 passing for the Cowboys. Witten caught 13 balls for 112 yards and a score, while Dez Bryant hauled in eight passes for 105 yards in the setback. 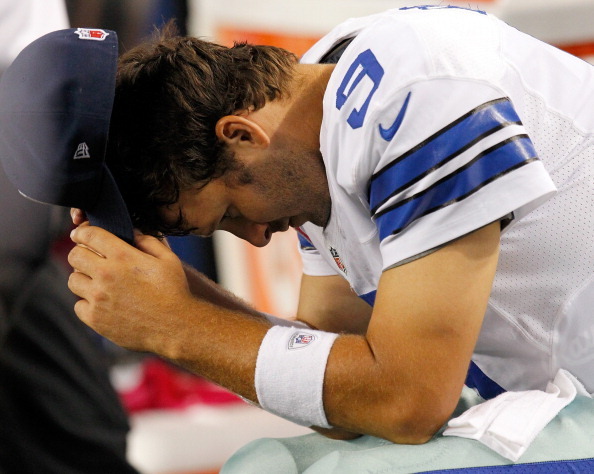 As if things are not bad enough, the Cowboys head into their bye week. And their next game is Oct. 14 at Baltimore, starting a stretch of playing four of five on the road. Murray carried the ball 11 times for 24 yards and added 57 yards receiving on seven catches.